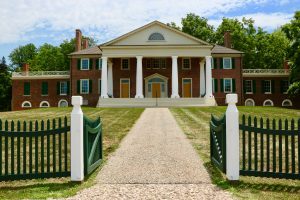 Working together, the Virginia Museum of History & Culture and the Library of Virginia are making it easier than ever for researchers to study the history of enslaved African-Americans in Virginia. 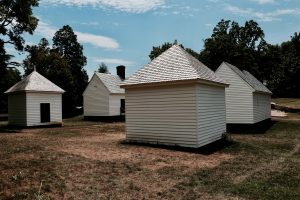 The Virginia Museum of History & Culture (WMHC) and the Library of Virginia (LVA) are joining forces, merging their resources to create a large database containing records of enslaved African-Americans. The resulting database will provide significantly increased access to a much wider spectrum of documentation about the lives of African-Americans who were enslaved in Virginia. The new database is a combination of the records from VMHC’s database, Unknown No Longer, which contains more than 600 documents and close to 13,000 names, and LVA’s database, Virginia Untold: The African-American Narrative, which contains nearly 11,000 records. The merged database is accessible online. Unknown No Longer was launched by the VMHC in 2011 to make their records of enslaved Americans in its archives accessible to online visitors. The database includes a variety of records. VMHC’s contributions are from its personal papers repository, and includes more personal records such as family Bible records, letters, and diaries. The LVA records are mostly city, state, and county government records, including coroner’s inquisitions, judgments, and public claims. Within all of these records, there are the names and descriptions of slaves, slaveholders, and freed people. Newman said that most of the records obtained by VMHC are donated, and that the museum is constantly working to make more records available and accessible. This is information that is available but not very accessible, and our database makes these records more accessible,” said Newman. “This opens up a whole new world to genealogical researchers. But in terms of genealogical researchers, it’s not just academics who are using the database. Newman said she was surprised by the number of ordinary citizens who have accessed it. Newman said that while the records are “important and priceless,” there are a few that really struck her. Peter Spain was a freed man from Richmond who in his will emancipated a friend who he considered his wife. He bequeathed his estate to his two sisters, who were free women of color, as well as a free boy of color who lived with him and his wife. Newman said that VMHC and LVA are working to uncover more of Spain’s story. Newman said she was particularly fascinated by the few items in the collection that were written by slaves — including a letter that a slave wrote to ask his owner for a woman’s hand in marriage — because it is difficult to find actual written documents from enslaved people.